Easy homemade candy recipe! These buttercream candies are simple to make with powdered sugar, butter and cream cheese. Shape rounded teaspoonfuls of mixture into 1-inch balls. Place onto waxed paper-lined baking sheets. Cover loosely; refrigerate until firm (2 hours or overnight). 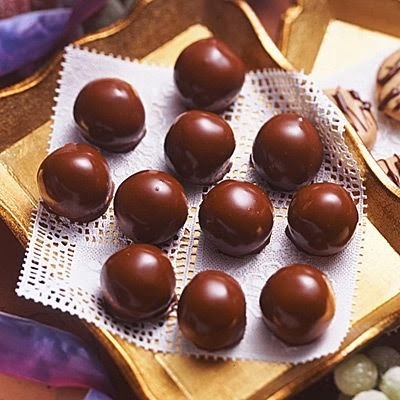 Melt chocolate chips and shortening in 1-quart saucepan over low heat, stirring constantly, until smooth (3 to 4 minutes). Dip buttercreams into chocolate mixture using toothpicks; let excess chocolate drip off. Place onto waxed paper-lined baking sheet. Refrigerate at least 30 minutes to set. *Substitute 1 1/2 teaspoons almond, orange or rum extract.